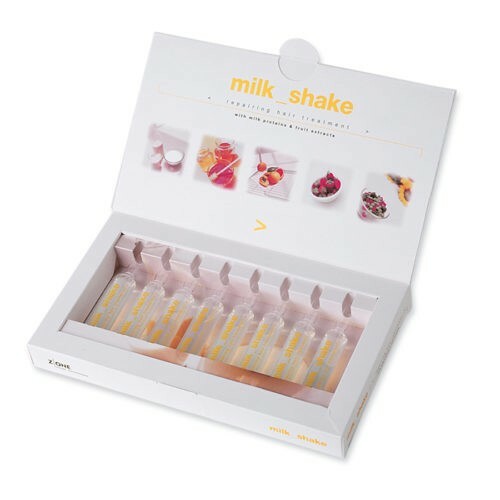 milk_shake repairing hair treatment, available in-salon only, is perfect for color-treated hair. Its rich formula provides deep nourishing action that protects and replenishes chemically-treated or damaged hair. Milk protein provides structure, while Integrity 41® helps maintain hair color. With milk_shake repairing hair treatment, hair looks healthy, radiant, vibrant and soft, even after the first application.